Harrison White, P.C. attorneys trade the courtroom for construction during day of service - Harrison White, P.C. Harrison White, P.C. 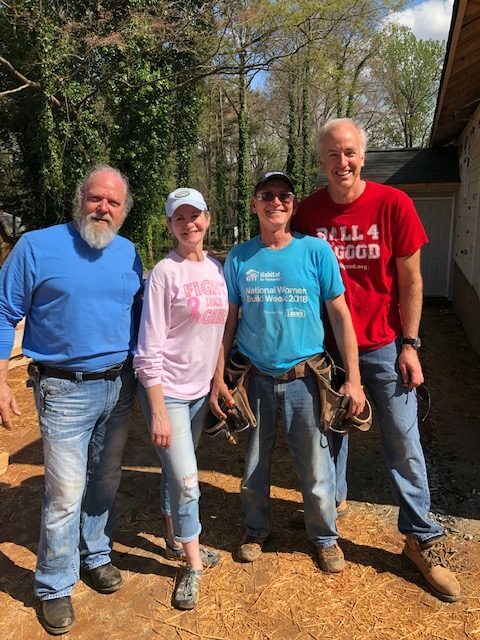 attorneys Steve Denton, Allison Dunham and Tom Killoren spent the first Saturday in April 2019 by trading the courtroom for construction as they joined other local volunteers to assist Habitat for Humanity of Spartanburg to build a home for a local family. Click here for more information about Habitat for Humanity of Spartanburg, as well as how to volunteer.